Amazon has over 650 vacancies in Bangalore and over 450 job openings in Hyderabad, besides some openings in Hyderabad and Gurgaon. India has the second most vacancies in Amazon after Seattle where around 9,000 positions are currently open. New Delhi: Undeterred by India’s revised e-commerce policy that kicks off from next month, Amazon has not stopped hiring engineers and managers in India. An analysis of job listings on Amazon shows the e-commerce giant has more than 1,400 vacancies in India. In Bangalore and Hyderabad, there are over 1,000 open positions with software engineers being the most in demand. 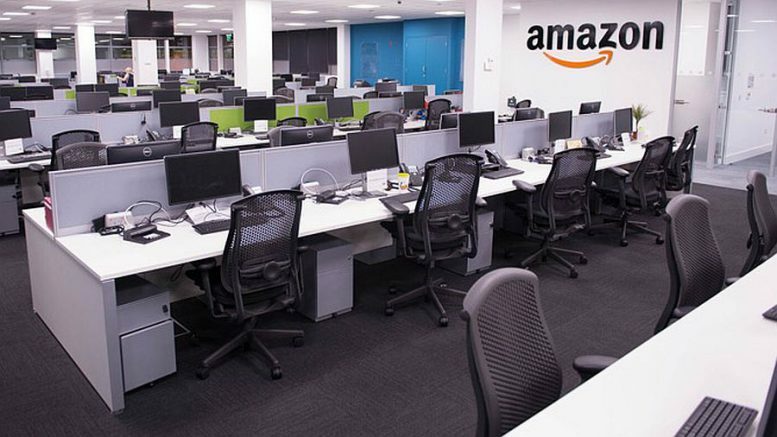 A city-wise listing on Amazon’s career site shows that with 661 vacancies Bangalore has the second highest number of vacancies in the company after Seattle, where around 9,000 positions are open. A large number of these jobs was posted on the site after the commerce ministry announced the decision on December 26 barring e-commerce marketplaces with foreign direct investment, like Flipkart and Amazon, from selling products of companies in which they owned stakes and disallowing them from entering into exclusive deals for merchandise. The move could hit Amazon, in particular, given that it has several such joint ventures in which it holds stakes, like Cloudtail and Appario. After Bangalore, Hyderabad has the second highest number of vacancies in Amazon India at 460 job openings. Chennai, Mumbai and Gurgaon are also on Amazon’s map. Category-wise, the largest number of job openings are in the retail, marketplace and advertising businesses followed by Amazon Web Services. Reuters had yesterday reported that PwC feared the new e-commerce policy could lead 1.1 million fewer jobs being created than expected. PwC’s draft analysis also shows that sales in India’s e-commerce industry could drop by $46 billion by 2022. In India’s $18 billion e-commerce industry, Amazon is committed to investing $5.5 billion while Walmart had spent $16 billion to acquire a 77% stake in Flipkart. Both Flipkart and Amazon have sought an extension of the February 1 deadline for complying with the revised FDI norms in e-commerce. “We await clarifications from the government on the new policy changes. As we seek clarity, we have written to the government requesting an extension of four months,” an Amazon India spokesperson told PTI, stressing that it needed adequate time to understand the details of the policy.